We produce decadent treats for the Café, Food Service and Retail Markets using the highest quality extravagant ingredients. 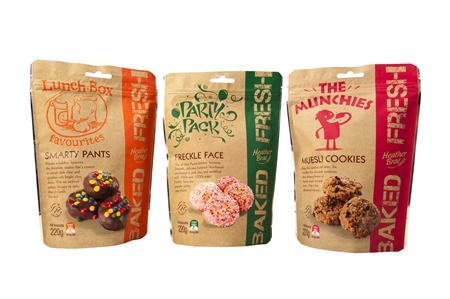 We have also developed a wide range of other products such as organic, low gluten, low fat/diet cookies, high protein muscle up cookies, savoury tarts and biscuits, baked muesli bars, meal bars, florentine selection, mini bites, seasonal and novelty products as well as frozen unbaked products to be baked off fresh in store. New in 2018 Oatcrackers and Twice Baked Seed Crisps. We specialise in contract manufacturing to customers’ specific requirements. All product development is carried out on our premises in our test kitchen by our fully qualified, experienced staff. All work is discreet with confidentiality agreements and product specifications strictly adhered to. We are very experienced in this area and have contract manufactured for some of Australia’s leading brands. We welcome all enquiries. 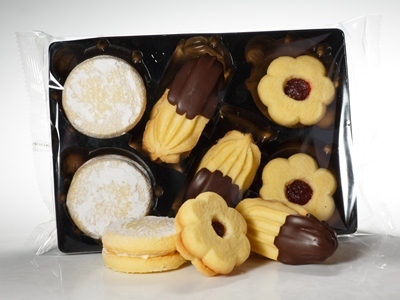 Our capabilities can cover a large product range as well packaging options. 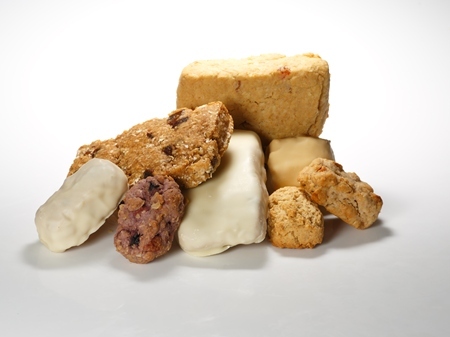 We supply a wide range of ‘Private Label’ in store bakery products and seasonal treats to all the supermarket chains. Our extensive experience in this area means we are often a preferred supplier providing a professional ‘full package’ solution to our supermarket partners. Our world class products have been exported to a number of countries in the past. We are export ready and we welcome all export enquiries. Our production capacity can manage multiple container deliveries per month. Our packaging design team can package products to customer’s requirements as well as delivering contract manufactured plain packaged products for secondary packaging at customers destination. We have worked in conjunction with Local, State and Federal Government agencies in partnering with export customers. New this year we have a selection of premium quality Gift Boxes designed with a Native Australian Bird Theme filled with our delicious shortbreads. 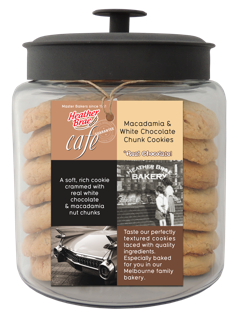 If you are a café owner or caterer please feel free to make an appointment to meet with our friendly staff who can help you at a time that is convenient for you to view our delicious products.